Thanks to an alert reader, we have word of the following Call for Papers from the Bibliothèque et Archives nationales du Québec. A scandal for some, a pragmatic solution for others, the Québec Act of 1774 has been interpreted quite differently by the Americans, Canadians, Amerindians and British. 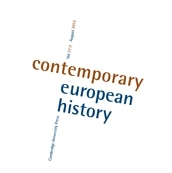 In order to take these diverse points of view into consideration and clarify their contexts, the Omohundro Institute of Early American History and Culture and the Groupe d’histoire de l'Atlantique français, in partnership with Bibliothèque et Archives nationales du Québec, are organizing a conference where various historical approaches will intersect. This conference on the Quebec Act, its transnational contexts, interpretations and heritage will take place October 3-5, at the Auditorium of the Grande Bibliothèque. & Chief Justice in Johnson v. Darr. Photo Courtesy of Texas Bar Blog. ﻿﻿﻿﻿﻿A quick Google search revealed that Frank was not the only one to have noticed this case. Alice G. McAfee published an article on the subject in the St. Mary's Law Journal in 2008, arguing that the sitting was more than simply a "bizarre" one-off, as most commenters had depicted it, and fit with broader trends of women's movement in Texas and the legal profession at the time. There's also a post on the case on the online handbook of Texas history. One fact that underscores the case's early date: the temporary Chief Justice in the case, Hortense Ward, was the first woman ever to be admitted to the bar in Texas--in 1910. This is well outside my area of expertise, so I'm not quite sure what to make of the case. Although it is one of those odd anecdotes that make for entertaining but not very serious historical works, I agree with McAfee that there are likely significant legal historical implications here--depictions of female lawyers as more "disinterested" than their male counterparts, a moment of opening at the end of suffrage era before women's roles became more circumscribed (as McAfee stresses), etc. I suspect there may be still more to mine from this incident, and I hope someone more qualified than I can further redeem the case from the bin of assorted historical oddities. The early inhabitants of Pike Creek were not indifferent to religious and educational privileges. Through the efforts of Rev. Jason Lothrop, a school was established in December, 1835, and maintained through the winter. A number of families residing on the prairies in the vicinity availed themselves of this opportunity to send their children to school. About this time also meetings for religious worship began to be held occasionally; Rev. Abner Barlow preached the first sermon in the house of Waters Towslee, near the place now known as Beard’s brick-kiln. The inhabitants at this period also organized a Temperance Society, and nearly the entire adult population of the place and the surrounding country became members of it. In the month of July 1835, two adventurers, Samuel Resique and John Noble, left Chicago on an expedition to make claims in advantageous locations, with the view of selling them on speculation. They followed the Lake shore north from Chicago until they unexpectedly came upon the settlement of the Emigration Company at Pike Creek. The usual marks, such as furrows made through the woods and openings by plough, indicated that the lands in the vicinity of Pike Creek were already claimed. The prospect for making any speculation here at first appeared rather dubious; still the place had many natural attractions, and they lingered around a couple of days to enjoy the quiet scenery. Washington Island was then in its primitive glory; the groves of young oak upon it had never yet been disturbed by the woodman’s axe. Attracted by its inviting beauty, they passed over to spend an hour in this primeval forest. Resique and Noble were experienced squatters; their quick perceptions soon discovered that if the Island had a reputed claimant, he was not in fact a legal one according to the squatter code; several important particulars had evidently not been complied with. There was no shanty on the land, and no resident squatter on the Island. Resique and Noble at once came to the conclusion to lay claim to the entire Island, and for this purpose immediately proceeded, by the help of a hatchet, to erect an encampment, and otherwise make a proper claim demonstration. Having completed their cabin, Resique returned to Chicago to procure a supply of provisions and other necessaries, while Noble remained to keep possession of the Island. An early settler held a claim on a piece of land, now included within the limits of the third ward of Kenosha. One morning this claimant, while passing over his claim… was overwhelmed with astonishment to find a piece of his land enclosed with a fence, and within the enclosure cultivated corn growing upon the ground. The matter was inexplicable; the possible loss of his claim made him feel extremely uncomfortable. His supposed possession by virtue of his claim had, to all human appearances, passed into the hands of some more successful squatter. The unhappy man immediately notified the Committee of Arbitration of the state of the case, and solicited their attention forthwith to this strange affair. The Arbitrators came, and sure enough, there was the fence, the cultivated ground, and the young corn some four inches in height, apparently growing luxuriantly. The claimant made his statement, alleging that he had within the past week walked over this very place of ground and saw no fence or signs of improvement. The Arbitrators were greatly perplexed, and sat down on a log to deliberate. The case was discussed for some time, but no satisfactory conclusion being arrived at, the conversation lapsed into silence – each seemed involved in his own contemplations as to the instability of human affairs, especially in the matter of claim titles. At length one of the Arbitrators sprang suddenly upon his feet [and] proceeded to take down a portion of the fence so as to remove the bottom rail; this being done, he burst forth into an exultant laugh – the revealment of the mystery now flashed across the minds of all present. The grass, which had been pressed down by the bottom rail, was still fresh and green, demonstrating that the fence had not been built more than twenty-four hours, and disclosing furthermore the probability that the corn had within the like period been transplanted to its present location…. This ingenious contrivance to jump the claim of a Pike Creek squatter was unanimously declared by the Arbitrators to be a piece of outlawry, and the complainant was adjudged to be the rightful possessor of the ground. Every summer I teach a ten-hour course on the common-law method to entering LL.M. students. The main goal of the course is to help law graduates from Civil Law countries get a feel for how legal rules can be said to emerge from a series of appellate decisions, the kind of Law 101 stuff we all do in our first-year courses. Mostly I use some cases from the start of my Property course, but I also include some legal history, so that students from common-law countries have something to do. I devote the morning of the second day to readings on the settlement of the upper Midwest. They start with a selection from Benjamin Horace Hibbard’s History of the Public Land Policies (1924). Toward the end come excerpts from John Locke, Second Treatise of Government (1690) (Chapter V, Of Property), and William Blackstone, Commentaries on the Laws of England, vol 2 (1766), *2-5. (I preface Blackstone with an excerpt from Stanley Katz’s sparkling introduction to volume 1 of the University of Chicago Press’s facsimile reproduction of the Commentaries.) But for me the highlight are two documents on the settlers of Kenosha, Wisconsin, which originally appeared in an appendix to the state’s Assembly Journal for 1858. These folks are, or course, none other than Willard Hurst’s Pike Creek squatters; I made my way to the documents via the footnotes to Hurst’s Law and Conditions of Freedom in the Nineteenth-Century United States (1956). As I tell the students, I include the materials in part as an hommage to Hurst but also to advance the theme for the day, which is how the nineteenth-century American state had to come to terms with and work through the norms and associations of groups within civil society. (In the afternoon I make Pierson v. Post stand for this. Devotees of the case will readily see the connection if they consider Livingston’s reference to “the arbitration of sportsmen” and how his “reasonable prospect” standard would function in the hands of a jury in a justice of the peace court. ) I argue, with Hibbard, that the squatters’ actions, “while not legal, were extra-legal rather than illegal.” That is, they felt themselves to be constrained by law, just not the official law of the federal statute books. That, it seems, to me is the moral of the two stories that I’ll reproduce in the next post. Although I don’t know exactly why Wisconsin’s legislators decided to reproduce the stories in 1858, I like to think that, in the midst of the uproar over their opposition to the Fugitive Slave Law, which culminated in Ableman v. Booth (1858), they felt the need for an origins myth demonstrating that Wisconsites had always been a law-abiding people, even when they resisted official law. This week in the New York Times book pages: a series of essays on "how to write" (here's the first). Writing blurbs, of course, is a special art. This essay by A.J. Jacobs may not be "wildly creative," to use one of his blurbing phrases, but it is amusing. You'll also find reviews of Samuel L. Popkin, The Candidate: What It Takes to Win — and Hold — the White House (Oxford University Press) ("a kind of management bible for the business of presidential campaigning) (here), and Paul Thomas Murphy, Shooting Victoria: Madness, Mayhem, and the Rebirth of the British Monarchy (Pegasus Books) ("rambles uninhibitedly and learnedly through 19th-century history into literature, penology, constitutional theory and even ballistics) (here). As a historian, Kazin, despite his sober judgments, exaggerates the importance of some radicals even as he ignores others’ genuine achievements—and does so at liberalism’s expense. His view of history acknowledges but diminishes the debt radicals have owed to liberals—just as it blinds him to the damage some leftists have willfully done over the last thirty years to liberal ideals and, ironically, to their own. I've pulled the last paragraph, which is a bit unfair to Kazin. Read the review in full here (open access). Also in this issue: Joseph Lelyveld reviews two books on Obama (open access, here); Russell Baker reviews Enemies: A History of the FBI (Random House), by Tim Weiner (subscribers only, here); Rory Stewart reviews The Dark Defile: Britain’s Catastrophic Invasion of Afghanistan, 1838–1842 (Walker), by Diana Preston (subscribers only, here); and more. *To all those young children out there who read this blog*: please close your eyes and scroll down: The New Republic reviews (here) Ascent of the A-Word: Assholism, the First Sixty Years (Public Affairs), by Geoffrey Nunberg. The book is "most valuable as an exploration of what the word means and why it came along when it did," according to reviewer John McWhorter. "[I]t is hard to confirm" the author's thesis that "a peculiarly vehement assholism [is] on the march." Also reviewed (here): The End of the Chinese Dream: Why Chinese People Fear the Future (Yale University Press), by Gerard Lemos. [Coll] documents the political, economic and global power of ExxonMobil, the largest privately owned oil and gas company in the world. Coll frames his story as a narrative of corporate life in the post–cold war era. The choice may feel odd at first: despite the company’s wealth—it has quadrupled its profits in the years since the cold war’s end—oil seems old-fashioned, mired in the physical world. Coll compares it with Walmart and Google, those denizens of the postindustrial economy. In contrast to these, ExxonMobil drills “holes in the ground,” and so its operations are inevitably “linked to the control of physical territory.” In this way, he suggests a different view of the contemporary economy: beneath the glitz and seductions of the service sector runs a river of oil, sluicing through the bright weightlessness of our online dreams. Also reviewed: The Torture Report: What the Documents Say About America’s Post-9/11 Torture Program (OR Books), by Larry Siems (here). National Public Radio has its own book pages, of sorts. Listen here to an interview with Ben MacIntyre, author of Double Cross: The True Story of the D-Day Spies (Crown). The Wall Street Journal also covers the book this week, here. Gautham Rao: All students of legal history owe you a tremendous debt, Mary. Thank you for founding this great forum! Tom Gallanis: Many, many thanks to you, Mary, for founding the Legal History Blog and making it such a success. Very best wishes on your new endeavors at Emory! Alfred Brophy: We're going to miss you, Mary. On a happier note, welcome to the South! Josh Stein: You have a built an enduring community. For that, we owe you our appreciation and gratitude. Thanks! Paul Harvey: All our best, Mary, you helped inspire me to form the Religion in American History blog. Congratulations on what you have achieved here. Serena Mayeri: Thank you for everything, Mary! You have transformed legal history online, and this remains the first and only blog to which I (enthusiastically) subscribe! Dan Ernst: Thank you, Mary, for creating and perfecting this resource for the field and for others interested in legal history. We'll soldier on somehow without you. Malick Ghachem: Congratulations Mary on a fantastic accomplishment/creation in the legal history blog and on your new role in Atlanta Much good wishes and we will look forward to continuing to read you. Dean C. Rowan: Aside from stimulating my inherent interest in the subject, LHB has helped me with day-to-day professional work as a librarian on many, many occasions. Thank you, Mary, and thank all of the LHB contributors, for producing one of the most interesting and informative legal blogs around. We miss you already, Mary, and we are looking forward to seeing what your garden grows. Last weekend, I was fortunate enough to have a chance to attend some of the numerous panels related to legal history on offer at this year's conference. For the readers who couldn't make it, I thought I might summarize a couple of the panels that might particularly interest them. 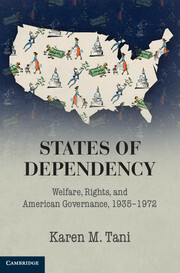 On Saturday morning, Gary Gerstle (Vanderbilt) presented a precirculated paper based on a chapter from a book project on the history of the American state. He emphasized the federal state's strengths and weaknesses, focusing particularly on issues of western expansion, settlement, and warfare in the antebellum era, and challenged the notion that the state was weak merely because it had few personnel and little centralized bureacuracy. There were several commentators, and they focused on Gerstle's use of counterfactuals, his definition of the antebellum state as "liberal," and questions of whether one can speak of a central state in the antebellum United States at all. The paper was provocative and intriguing, and I look forward to reading the final manuscript. Later that day, Kevin Arlyck (NYU), Daniel Hulsebosch (NYU), and Timothy Milford (St. John's) presented papers in a session entitled "The Law and Post-Colonial America: Structures and Misadventures." Kevin's paper described the attitudes of French consular officials toward federal courts in the 1790s, as the courts arbitrated ownership disputes over ships seized by French privateers. Moving away from diplomatic discourse toward what he terms a more "work-a-day" approach to the law, he demonstrated that the French were upset at the courts' intrusion into what they regarded as a diplomatic concern for the executive, even while they pursued aggressive litigation strategies. Dan's paper, part of a larger book project, addressed the international dimensions of the Constitution, describing it as a project to satisfy the United States's obligation under the law of nations and achieve the Enlightenment goal of peace through commerce embraced by Vattel and other writers. He noted the existence of a substantial foreign audience for the Constitution, including a detailed examination of the document by the British Board of Trade, and outlined what he termed a "foreign ratification debate" that occurred in the 1790s. Finally, Timothy's paper focused on two political trials in New York in 1806, U.S. v. Smith and U.S. v. Ogden, that grew out of the failed Miranda invasion of Venezuela. The defendants, charged with violation of the Neutrality Laws, argued the expedition had been sanctioned by the Jefferson administration, and the jury evidently agreed, clearing the men in what Timothy described as an instance of jury nullification. The cases raised some significant issues that we still grapple with, including problems of undeclared war, executive privilege, and inequity (since many of those roped into the expedition were Bowery Boys). Finally, in the coveted Sunday morning slot were Jessica Lowe (who just finished at Princeton and will start teaching at UVa), Peter Wallenstein (Va. Tech. ), and myself. Jessica presented a portion of her dissertation on the criminal trial of John Crane, which began with a fight among reapers that turned deadly and ended in a special verdict by a jury torn between murder and manslaughter. She used the incident to suggest that the divide between local and state/national law was not as sharp as historians have argued, and that local juries were concerned with the law, including the technicalities that supposedly only lawyers cared about. As for Crane, he was ultimately hanged, a result Jessica suggests resulted because the law was both "too republican and not republican enough"--that is, Crane was hanged for the murder of a common laborer despite his social standing, but he did not benefit from the later reform when Virginia created second-degree murder, with prison instead of hanging as punishment. Peter presented an overview on freedom suits from the Massachusetts suits in the 1780s that effectively abolished slavery in the commonwealth through Dred Scott, and beyond. The paper surveyed the historical and historiographical landscape, noting the shifting circumstances--and declining availability--of suits throughout the antebellum South, but concluded by arguing for a broader definition of freedom suits, one that would encompass suits over segregation such as Roberts and thus link the antebellum suits with later efforts to secure black rights. Finally, I presented work I've been doing on Natives and the Constitution, arguing for the important role that struggles over Indian affairs and anxieties over the power of Native nations on the frontier helped shape provisions of the Constitution and the struggle over ratification. All in all, it was an enjoyable conference, and all these papers provided much food for thought. I look forward to reading the multiple projects that promise to emerge from them. 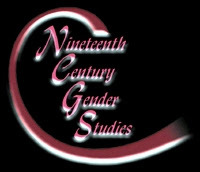 Issue 8:2 (Summer 2012) of Nineteenth-Century Gender Studies is devoted to the topic Law and Gender in Nineteenth-Century England. The guest editors are Julia McCord Chavez and Katherine Gilbert. Among the contributions are Policing Sexual Morality: Percy Shelley and the Expansive Scope of the Parens Patriae in the Law of Custody of Children, by Danaya C. Wright, University of Florida Law. The Poor Law Amendment Act of 1834, more commonly known as the New Poor Law, is arguably the most notorious piece of legislation in British history. Deeply controversial in its day, it has unsurprisingly generated a dense and diverse scholarly literature ever since, yet one in which the national capital has played a remarkably minor role. Indeed, David R. Green’s study is the first to attempt to explore the history of the Poor Law in nineteenth-century London in its geographic and administrative entirety. One need not read far to understand why, for the history of the Poor Law in London prior to and post 1834 is enormously complex. Green is to be commended both for undertaking a difficult task and for producing a study that is remarkably easy to read, despite the intricacies of its subject matter. His study makes the arcane history of poor relief in nineteenth-century London accessible to the non-specialist, while simultaneously yielding significant insights about this history for specialist scholars of poverty, policy, and the nineteenth-century British state. This essay explores the story of Nancy Clem, an outwardly respectable Indianapolis confidence woman and alleged murderess, in the context of changing constructions of class, gender, and criminality. It examines various ways in which lawyers, newspaper reporters, and ordinary citizens struggled to understand a woman who did not fit preexisting conceptions of gender and crime. 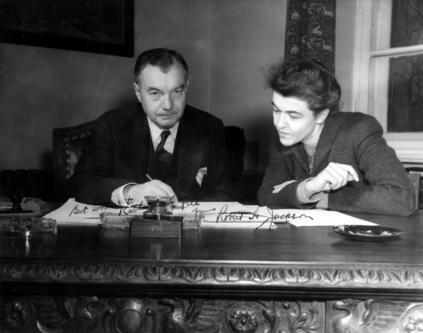 A series of high-profile cases involving bourgeois criminals and (more than likely) Clem's own social aspirations allowed cultural commentators to portray her as a “genteel murderess.” Upon her release from prison after an abortive fifth trial, Clem could not sustain her newly acquired social identity, in part because her erstwhile refinement was a journalistic creation and in part because the changing nature of class, gender, and space in Gilded Age Indianapolis provided her with fewer opportunities for self-fashioning. Clem's social odyssey from half-literate “Butternut” to genteel murderess to uncultured “capitalist” reflects slippery, yet significant, transitions between social fluidity and relative rigidity, antebellum respectability and Gilded Age gentility. Also in the issue is a review essay that takes up Christopher Waldrep’s Jury Discrimination: The Supreme Court, Public Opinion, and a Grassroots Fight for Racial Equality in Mississippi (Athens: University of Georgia Press, 2010). The Athenian democracy developed striking institutions that, taken together and separately, have long engaged the attention of theorists in law, politics, and history. We will offer a unifying account of the major institutions of the Athenian constitutional order, attempting both to put them in their best light and to provide criteria for evaluating their successes and failures. Our account is that Athenian institutions are best understood as an illustration of precautionary constitutionalism: roughly, the idea that institutions should be designed to safeguard against political risks, limiting the downside and barring worst-case political scenarios, even at the price of limiting the upside potential of the constitutional order. We use this framework to illuminate some of the distinctive features of the Athenian democracy: selection of officials by lot, rotation of office, collegiality, ostracism, and the graphe paranomon (the procedure for overturning an unconstitutional decree). Australasia has a rich and complex legal history since the first European settlement, and our knowledge of legal practice and precedent in the colonies of Australasia is still developing. The Australasian Colonial Legal History Library project is an ARC-funded project being carried out by the Australasian Legal Information Institute (AustLII) since January 2012 with input from 18 legal historians from Universities across Australia. Cooperation with other parties who have already built invaluable and pioneering online resources for Australasian colonial law is an essential part of the project. AustLII is a free access online service which has operated since 1995 as a joint facility provided by UNSW and UTS Law Faculties , and now provides over 500 databases, with usage of over 700,000 page accesses per day. The Colonial Legal History Library project is therefore being built within a large and mature research infrastructure, and this presents challenges as well as advantages. In particular, many of the AustLII databases cover the whole period from the formation of a colony to the present, so the databases for this Library have to be ‘virtual’ databases extracted from this larger corpus. The paper explains the construction, content and features of the first version of the Library, which as of July 2012 contains 12 databases including one case law database from each of the seven colonies (including New Zealand), some of which are ‘recovered’ cases from newspaper reports, the complete annual legislation to 1900 from three of the colonies, plus legal scholarship concerning the colonial era. These databases provide over 20,000 documents so far, and the Victorian Government Gazette 1851-1900 another 200,000. The Library also includes the LawCite citator, which allows the subsequent citation history of any colonial case to be tracked, including if cited by courts outside Australasia. The medium term aim of this part of the ARC project (which extends to 1950 in its full scope) is to include all legislation, reported cases, and cases which can be ‘recovered’, from the inception of each colony to 1900. Scholarship (old and new) and key source materials are also being added, as budgets permit. We hope that the Library will be a leader in the creation of legal history resources from the colonial era. See also this helpful comment by a law librarian at the University of Otago and this one on comparable Canadian efforts. Scholars typically trace the origins of judicial tenure during good behavior to the 1701 British Act of Settlement. 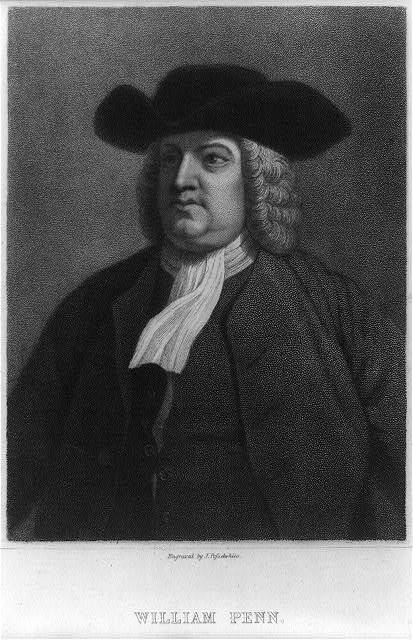 This article, published as the lead article in the July 2012 issue of the Pennsylvania Magazine of History and Biography, maintains that William Penn anticipated by two decades, in organic laws in both New Jersey and Pennsylvania, the 1701 Act on the importance of this most famous of all institutional solutions to the political theory of an independent judiciary. 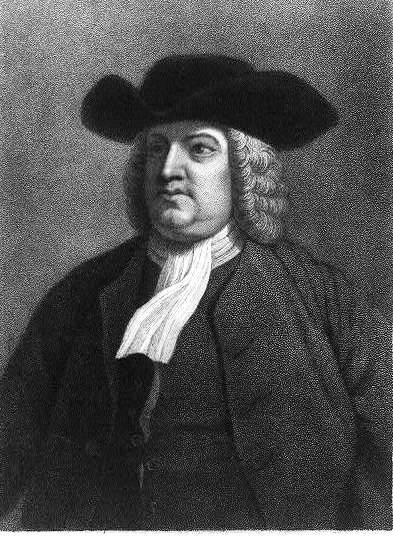 The article concludes that Penn’s call for judicial tenure during good behavior owes much to his celebrated commitment to liberty. Still Too Close to Call? Rethinking Stampp's "The Concept of a Perpetual Union"
James Madison and the Constitution's "Convention for Proposing Amendments"
Over 5 ½ years ago, I began the Legal History Blog at my kitchen table. Over 5000 posts (collectively) and well over 1 million visits later, I am now signing off. The blog will continue, and as with all on-line ventures, its future depends in part on you. From the beginning, what has kept the blog going is its readership. I began the Legal History Blog in part because I thought that the field needed more of an on-line presence than it had at the time. As colleagues joined me, first as guests and then as on-going bloggers, LHB has achieved the goals I had at the beginning. I continue to think that bringing the work of legal historians to an on-line readership is essential. I am moving on nonetheless because the blog can continue in one form or another without me, and because – with a new position and new program to launch – it is time for me to create something new. For now, you can find me on occasion at Balkinization, and also at War Time. Whether my new project will lead to a blog or some other online form I don’t yet know. A while ago I blogged about the relationship between intellectual work and work in the garden. A garden is more than a respite from work, or a place where ideas find themselves. It is also an apt metaphor for my current state, especially as I wander around my very new garden in Atlanta. Sometimes in the garden you simply have to wait quietly, and see what will grow. Via National Public Radio, we have word of a new exhibit at the National Archives in Washington, D.C. Titled "Attachments: Faces and Stories from America's Gates," the exhibit uses the documents and photographs "attached" to government immigration case files to "tell the stories of men, women, and children who found themselves at the gateways to America between 1880 and the end of World War II." When she was in graduate school at the University of California, Berkeley, in the mid-1990s, [Lee] was researching the Exclusion Era, a period in which Chinese immigration to the U.S. was severely restricted. Lee called library after library looking for primary source material but came up empty. Then she called the National Archives in San Bruno, Calif.
"I was expecting the usual 'No, I'm sorry,' and to my surprise, the archivist there said, 'Yeah! We have about 70,000 individual immigrant case files that have just been released to the public'," Lee said. There were boxes and boxes of files. Too many to count. The first file she asked to see was her own family's. When she opened it, her grandmother's wedding photograph fell out. Read on (or listen) here. The exhibit is free and open to the public. It runs from June 15, 2012 to September 4, 2012. As a sometime interviewer in the oral history program of the Historical Society of the District of Columbia Circuit, I try to follow comparable programs in other jurisdictions. Recently, the oral history programs of the Idaho Legal History Society and the Tennessee Bar Foundation have been in the news. As I learned here and here, The Tennessee bar’s program dates from 1998 and includes “video oral histories from 76 of the top lawyers and judges in the state.” The entire collection has been opened to researchers, who may consult it at the Tennessee State Library and Archives. It recently came to our attention that the Paul Murphy Prize deadline information was not fully accessible to all who wished to apply. Because of this, for fairness reasons, the deadline has been extended for two weeks, until August 5, 2012. The committee has received an ample number of submissions, and this announcement should not be taken as a reflection on the current pool. Those who previously submitted a proposal do not need to do anything. However, if you previously submitted and would like to revise your proposal, you may do so by the deadline. The committee will not review proposals until the August 5 deadline. If you have questions or concerns about this announcement, please contact me at my new email address. The call for proposals is below. The American Society for Legal History announces the Paul Murphy Prize to support the completion of a book on the history of civil liberties that addresses any topic or any time in American history. The award will be given out two times only, in 2012 and 2013. Recipients will receive $5000 to support their work. Nominees at all levels of seniority will be considered, however the award is not for the completion of a dissertation. The award honors Paul L. Murphy (1923-1997), who spent much of his career at the University of Minnesota where he rose to the rank of Regent’s Professor of History and American Studies. At the time of his death, he was in the second year of his term as president of the ASLH. During his tenure at Minnesota he became one of the nation’s leading constitutional historians and a mentor to generations of undergraduate and graduate students. Among his most important books were: The Meaning of Freedom of Speech: First Amendment Freedoms from Wilson to FDR (1972); World War I and the Origin of Civil Liberties in the United States (1979); and Historic Background of the Bill of Rights, Vol. 1 (1990). 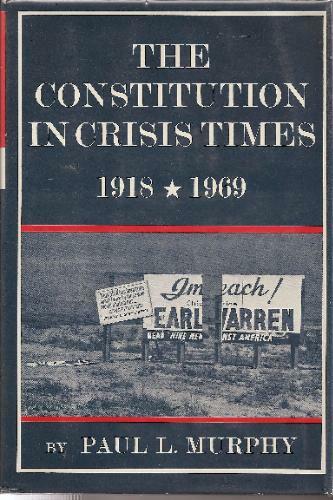 In addition, civil liberties played a fundamental role in the argument he developed in what was likely his most influential book, The Constitution in Crisis Times 1918-1969 (The New American Nation Series, 1972). Murphy’s commitment to civil liberties and his passion for the subject was evident in his deeds as well as his words. He was an ardent and committed member of the American Civil Liberties Union throughout his life. For additional information on Murphy please see the tribute to him in the Law and History Review, 16 (Spring 1998), ix-xi. To be considered for this award, authors or nominators should send a book proposal with chapter descriptions, a discussion of the book’s contributions, and a time-line for completion; a sample chapter; and a c.v. to committee chair Mary L. Dudziak (email here). Submissions via e-mail are preferred, and attachments can be in Word or PDF. Please put “Murphy Prize” in the subject line. If you must submit by hardcopy, please send four copies of these materials to arrive by the deadline to this address: Professor Mary L. Dudziak, Emory School of Law, 1301 Clifton Road NE, Atlanta, GA 30322. The deadline for receipt of proposals for this year’s award is August 5, 2012. Presidential politics are everywhere these days, including the book pages. The Wall Street Journal reviews, here, The Eighteen-Day Running Mate: McGovern, Eagleton, and a Campaign in Crisis (Yale University Press), by Joshua M. Glasser, and Call Me Tom: The Life of Thomas F. Eagleton (University of Missouri Press), by James N. Giglio. The New York Times covers (here) The New Religious Intolerance: Overcoming the Politics of Fear in an Anxious Age (the Belknap Press/Harvard University Press), by law professor Martha C. Nussbaum. According to reviewer Damon Linker, the book "could serve as Exhibit A in liberalism’s defense against [the] charge" "that liberals in general, and Barack Obama in particular, prefer other forms of democracy ­(especially those that prevail in Europe) to the American way of life." Also reviewed: Island of Vice: Theodore Roosevelt’s Doomed Quest to Clean Up Sin-Loving New York (Doubleday), by Richard Zacks (here); and two books about "the Tea Party Class of 2010" (here). Politics of a different sort: the readers of the History News Network have cast their votes, and the “the least credible history book in print”is . . . . find out here. The New Republic: The Book is full of good stuff this week: Saul Austerlitz reviews, here, The Chinatown War: Chinese Los Angeles and the Massacre of 1871 (Oxford University Press), by Scott Zesch; Todd Gitlin reviews, here, After Broadcast News: Media Regimes, Democracy, and the New Information Environment (Cambridge University Press), by Bruce A. Williams and Michael X. Delli Carpini; and Michael Gorra reviews, here, Mrs. Robinson's Disgrace: The Private Diary of a Victorian Lady (Bloomsbury), by Kate Summerscale (also reviewed this week here, in the WSJ). "Greed, lust, and the other seven deadlies never go out of fashion . . . ." Subscribers to the Chronicle of Higher Ed may read on here, where Peter Monaghan reviews Sin: The Early History of an Idea (Princeton University Press), Paula Fredriksen. For centuries the most powerful and influential argument for social justice has been essentially an insurance-based argument. Justice within a political community requires that the most catastrophic risks of economic and social life be pooled. Everyone should be required to acquit his moral responsibilities to fellow citizens, as well as to guard against his own misfortune, by paying into a fund from which those who are in the end unlucky may draw. This conception of social insurance has been the rationale of the great social democracies of Europe and Canada, and taxation has been the traditional—indeed the only effective—means of pooling those risks. Insurance has been the rationale, in this country, of all our great welfare programs: Social Security, Medicare, Medicaid, federal disaster relief, among many others. The Affordable Care Act, out of assumed political necessity, is different—but only on the surface. James Madison and the Making of America (St. Martin's Press), by Kevin R. C. Gutzman, is the subject of a new review in the the Law & Politics Book Review. 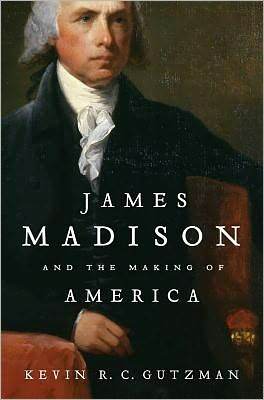 Do we really need another book about James Madison? Find out here . The Historical Society links to recent recent material on the history and memory of American slavery. Yale Law School has announced a Ph.D. program in law. From the Chronicle of Higher Ed: Why the Morrill Land-Grant Colleges Act still matters. I was scrounging around in the bowels of the blog, deleting long-forgotten draft posts, when I ran across a fragment, never finished, from 2008. It seemed better to post this one than delete it. The difference in civilian casualties was especially stark: in World War II 67,000 British, 270,000 French, over 500,000 Yugoslavians, 1.8 million Germans, 5.5 million Polish, an estimated 11.4 million Soviets, over 16 million Chinese, and 2000 American civilians in both World Wars combined. the United States today is the only advanced democracy where public figures glorify and exalt the military, a sentiment familiar in Europe before 1945 but quite unknown today....For many American commentators and policymakers the message of the twentieth century is that war works....For Washington, war remains an option.... For the rest of the developed world it has become a last resort. Judt's antidote was that "Far from escaping the twentieth century, we need, I think, to go back and look a bit more carefully. 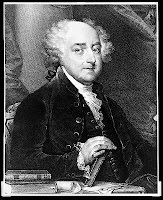 We need to learn again—or perhaps for the first time—how war brutalizes and degrades winners and losers alike..."
John Adams never ceased defending his work as “Constitution monger.” As author of the Massachusetts constitution of 1780, he had successfully devised a governmental structure of separated powers and fixed, express limitations that became an enduring model for modern American constitutionalism. Even so, he continued to believe this structure – resting on a bicameral legislature, a strong executive, and an independent judiciary – to be in constant danger. The threat, he feared, began with human nature itself, which he viewed as prone to irrationality and disorder. Men in the abstract might be trusted and their sovereignty acknowledged, but in reality it was necessary to create a “government of laws, and not of men.” This essay examines his experience in the tumultuous world of Massachusetts politics and his efforts to embody the will of the people and simultaneously to protect it from itself. “Certainly mankind has been befouled with a stain that won’t be removed in a week or a month.” So wrote Nuremberg lawyer Katherine Fite while preparing for the post-World War II trial of nearly two dozen Nazi leaders. In that single sentence Fite not only remarked that memory of atrocity may shred human ties for generations, but also admitted that prosecution alone cannot bind war-torn societies. Essential, her letters made clear, is politics – robust political support for social recovery as well as criminal accountability. Based on the Katherine B. Fite Lecture delivered at the 5th Annual International Humanitarian Law Dialogs in Chautauqua, New York, this essay examines the role that politics has played in the evolution of international criminal justice. It first establishes the frame of the lecture series and its relation to IntLawGrrls blog, a cosponsor of the IHL Dialogs. It then discusses the career of the series' namesake, Katherine B. Fite, a State Department lawyer who helped draft the Charter of the International Military Tribunal at Nuremberg and who was, in her own words, a "political observer" of the proceedings. The essay then turns to the the International Criminal Court, in which the first Prosecutor insisted that his was a "judicial" mandate wholly separate from politics. With an eye to transition this year, when a new Prosecutor will assume office, it considers how the ICC might work more effectively within the context of policy choices its officers make. More of Amann's Women at Nuremberg project can be found in these two papers and these posts from IntLawGrrls. The Jurisprudence and Social Policy (JSP) Program in the School of Law at the University of California, Berkeley seeks applicants for a tenure-track or tenured faculty position in U.S. legal history. Candidates must hold a Ph.D. or equivalent degree in history or a closely related field; and must have an excellent record of historical scholarship related to law, as appropriate to career stage. Candidates with ABD status will be considered, but the successful candidate must have finished the Ph.D. within 6 months of appointment. The position is not restricted to any particular period of U.S. history, area of legal historical research or methodological approach. An ideal candidate should undertake research of interest both to the historical profession generally and to legal historians within the law school community. Given the multi-disciplinary character of the JSP Program, faculty members are expected to help support students across a range of socio-legal fields, as well as within their own area of disciplinary training. A JD is not required, though we welcome candidates who would enrich scholarship and teaching within the broadest community at Berkeley Law, including contributions to the professional J.D. program. We are interested in candidates who have demonstrated excellence in research, teaching and service, and a commitment to building an equitable and diverse scholarly environment. The candidate may be appointed at the tenure-track or tenured level, depending upon his/her qualifications and experience. The candidate will be expected to teach both graduate and undergraduate courses, and to supervise graduate student research. The appointment is expected to begin on July 1, 2013. 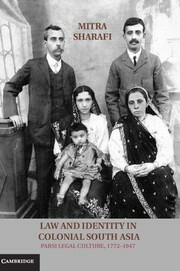 For further details of the JSP Program, see http://www.law.berkeley.edu/jsp/. Early applications are encouraged. Review of applications will begin on September 4, 2012. The final deadline for applications is October 8, 2012. To apply please go to the following link: http://aprecruit.berkeley.edu/apply/JPF00006. Applications should include in pdf format a letter of interest, a vita, a description of current research and teaching interests, a writing sample, and a list of 3 reference names with email addresses. Letters of reference do not need to be sent at this time, but references may be contacted later with prior consent. All letters will be treated as confidential per University of California policy and California state law. Please refer potential referees, including when letters are provided via a third party (i.e., dossier service or career center), to the UC Berkeley statement of confidentiality: http://apo.chance.berkeley.edu/evalltr.html. This year’s cowinners of the Law and Society’s Association’s James Willard Hurst Prize in Socio-Legal in Socio-Legal History are Amy Chazkel, City University of New York, for Laws of Chance: Brazil’s Clandestine Lottery and the Making of Urban Public Life ( Duke University Press), and Daniel J. Sharfstein, Vanderbilt Law, for The Invisible Line: Three American Families and the Secret Journey From Black to White (Penguin Press). Congratulations! Amy Chazkel tackles a fascinating subject, the illegal lottery in Rio de Janeiro that begun in the 1890s and was knows as the jogo do bicho (or “animal game”). In Laws of Chance: Brazil’s Clandestine Lottery and the Making of Urban Public Life (Duke University Press), she poses interesting and provocative questions and brings to bear unique sources on law and society in early 20th century Brazil. The state prosecuted people for holding lottery tickets, but they continued to play the game and defy the law even as the lottery was driven underground. Chazkel explores how the persistence of the jogo do bicho helps to explain the phenomenon of informal markets in Latin America; moreover, widespread popular attitudes about the lottery’s acceptability forced changes in formal law and legal enforcement practices. Ultimately the state was obliged to accommodate public acceptance of the lottery, and judicial and police enforcement practices recognized the game’s legitimacy in the eyes of the citizenry. 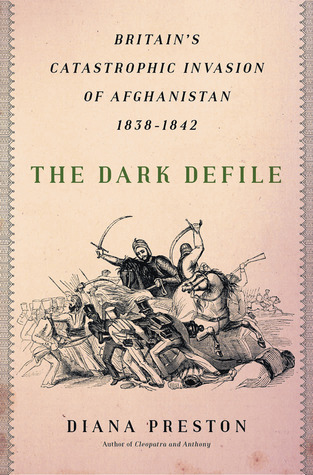 The committee was deeply impressed by the book’s broad accomplishment; this is no mere variation on the common these of public corruption in Latin American post-colonial history. Rather, in Chazkel’s nuanced handling, this story reveals subtle shifts in the meaning of legality and authority in the formation of the modern Brazilian state. Daniel Sharfstein’s book, The Invisible Line: Three American Families and the Secret Journey From Black to White (Penguin Press), is an elegantly written, beautifully researched reconstruction of the lives of three families who crossed the color barrier. The book’s lovely, elegant prose and exhaustive research caught the committee’s attention and stood out in a field that contained some particularly strong and worthy submissions. By meticulously tracing generations of Americans for more than 150 years, Shartstein stunningly documents the fluid nature of racial identity in the United States since the Civil War. 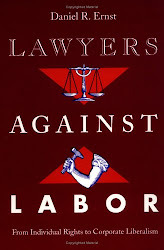 The committee was particularly struck by Sharfstein’s literary touch; legal ideas recur as motifs throughout the narrative, lending an especially graceful tone to the book. Sharfstein’s subjects come alive through his adept recruitment of primary sources, and his willingness to let them speak for themselves as much as the records permit pairs wonderfully with his novelistic style.